Just after our shopping trip, we are in for another treat and this time it is dinner at Mum’s Place. Mum’s Place brings out the best of Malaysian and local Portuguese cuisine while being inspired by traditional home recipes. With plenty of wooden furniture, wooden statues, carvings and fancy screens, it makes a comfortable setting at Mum’s Place. Don’t forget to check our some of the signs and quotes too, I guarantee you will giggle or smile at some of them. To get the best out of Mum’s Place it is recommended to share dishes around the table. So grab your friends and family and go have a feast! To start, we had some Otak-otak cubes served with Thai sauce (RM16.90). 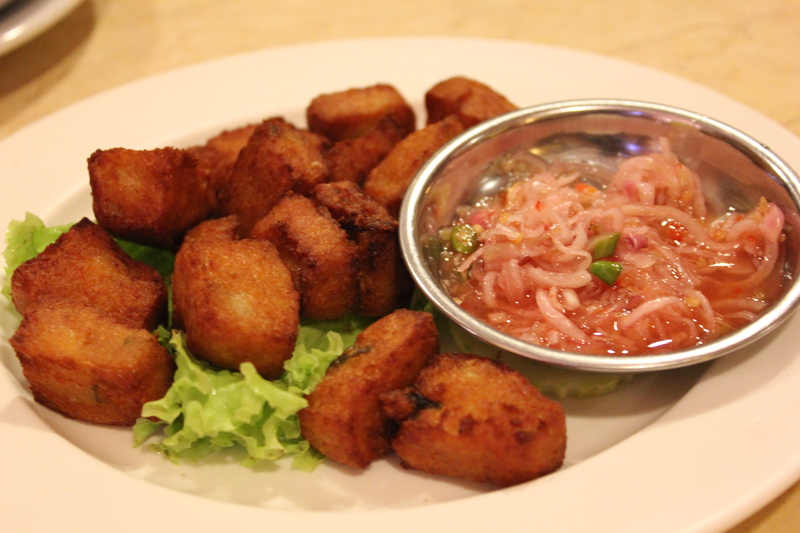 The Otak-otak cubes makes a great starter as they are tasty and addictive. The plus of this dish is the bite sized cubes of the Otak-otak, which is also great for a snack! YUM! During every visit to Mum’s Place, the Cencaru Fish with Chili Padi Paste and Petai (RM19.90 for 2 fishes and an extra for RM9.95) dish is a must order for us. If you are a petai enthusiast and your tolerance level of chili is high, this dish is your best friend. Yes it is delicious but I warn you that you may spit fire after eating this fish. Not for the faint hearted. We had the Chicken Pong Teh with Sauce (RM16.80). 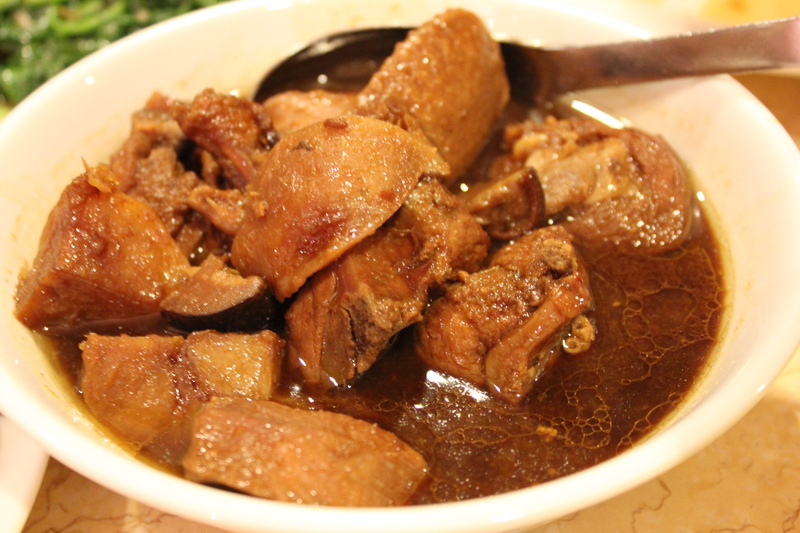 Chicken Pong Teh is a traditional ‘Nyonya’ chicken dish with soya sauce, potatoes & black mushroom. 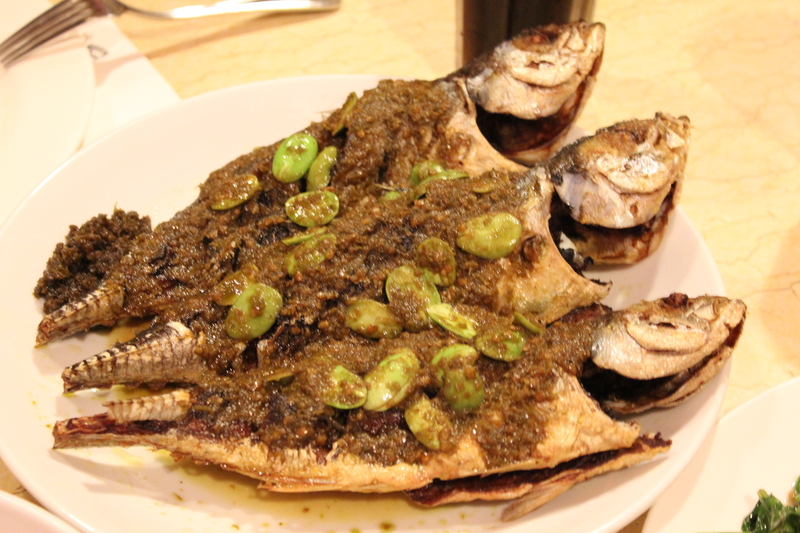 Compared to the Cencaru Fish, this dish is not spicy but it will sure tantalise your tastebuds. One of my favourites. To balance the mains we had, it is essential to order some vegetables. 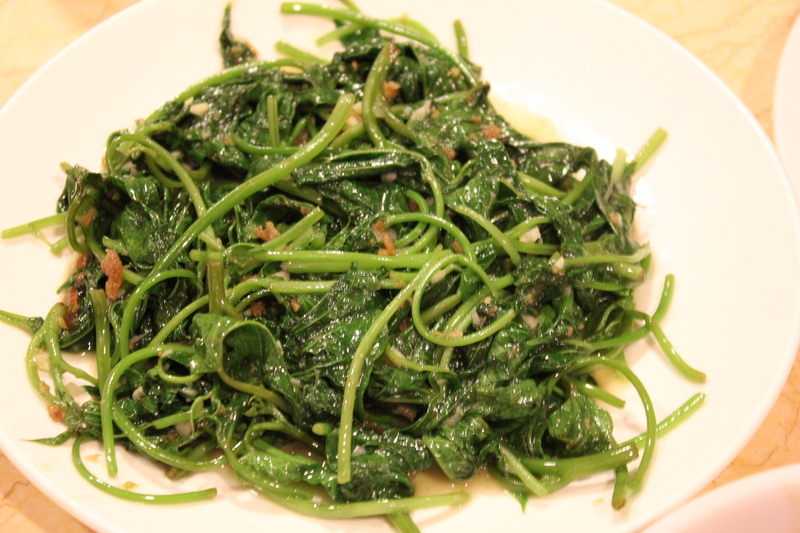 We had the Daun Keledek (Sweet Potato Leaves) with Lime Juice, Dried Shrimps and Chili Padi Paste (RM13.90). Although there is Chili Padi, this dish is mildly spicy. With a combination of lime juice and dried shrimps added to the sweet potato leaves, this enhances the fresh flavours and the sweetness of the dish. 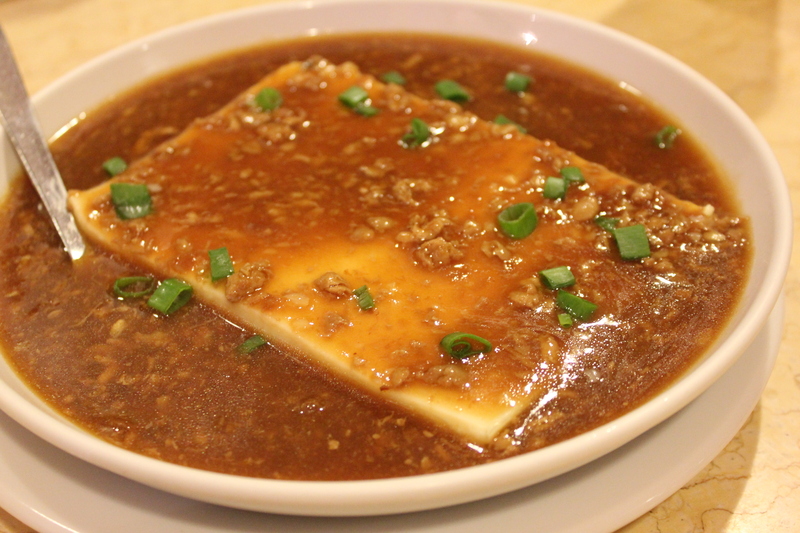 We also ordered the Steamed Beancurd (Tofu) with Minced Chicken and Gravy (RM13.90). Drenched in the gravy and minced chicken, the beancurd was perfectly steamed and it was smooth and silky. The dish was full of flavour. We did not have any dessert to finish but I am sure there is always a next time! If you are at Mum’s Place, please do check out some of their desserts too. Some of the desserts offered at Mum’s Place are ABC (Ice Kacang), Cendol with Red Beans, Pulut Tekan with Kaya and other traditional desserts. Mum’s Place is another restaurant that my family and I have always come back to every trip back to KL. Highly recommended if you love spicy food. For those whose tolerance of chili is not that high, don’t worry, Mum’s Place also offers dishes which are not spicy to mildly spicy. Mum’s Place is the place to be for all. OMG i love the fish there too haha! But boy it was spicy!!! I have only been there once coz mom said it was rather good. Not bad indeed. Felt very homecooked :)!